I am the first to admit it, I punish myself on a daily basis. That doesn’t mean that I can’t fulfill my obligation as a muse to help someone move into their glory. Or it doesn’t mean that I can’t forgive someone that has hurt me badly because I realize that they are really doing the best they can be in the moment. I am great at helping people releasing that inner negative self talk and guilt they feel for themselves. But what in the world am I doing by not forgiving myself. Here is what’s going on when I can’t forgive myself. One, I lower my vibrational frequency to attract others who can’t seem to forgive me. Hmm, what do I mean by that? Let’s take a closer look. When I can’t forgive an old guilt feeling that seems to rear it’s ugly head from time to time I seem to vibrate on the frequency of angry people. Not that I am angry with anyone but myself but I manage to get around people who are angry who have no problems expressing themselves. Me on the other hand have to be pushed to my very core to express my anger to another person as they have upon me. Or do I ? Maybe I do express anger to others and don’t even realize it. Maybe my short blunt comments to people is really letting my anger out. Nonetheless what you put out there comes back. Thus taking you off the higher frequency of positive attraction. Two, I fall down the rabbit hole of self doubt and judgement. Not a good place to be. When I start judging myself then I start judging all that cross my path. Then there is another thing I have to forgive myself for an endless bitter cycle. What’s the solution you ask? Hell, I don’t know, let me ask you a few questions. 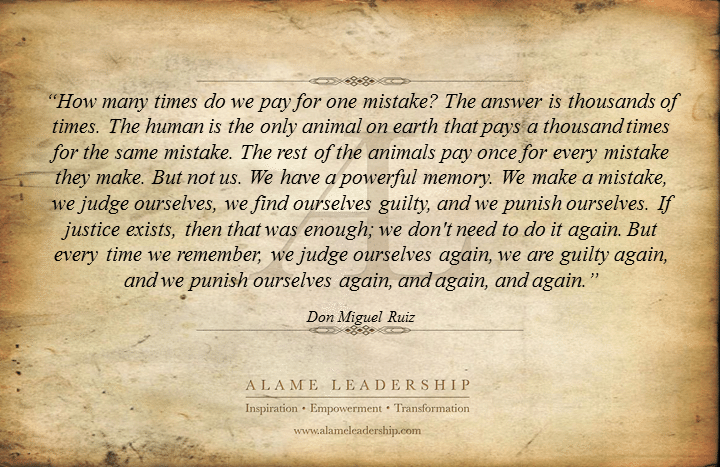 Are you judging your past? 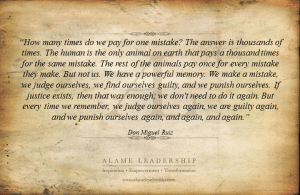 Are your guilt feelings from that past? More likely they are from your past. Have you not evolved from the past? You have emerged from your past . You are doing things so much better than the past. It is not selfish to forgive yourself no matter what you have done in your life. If you don’t let go and stop punishing yourself you will cause great physical pain. I mean pain that will cripple you so bad that you can not physically walk. I have lived around that kind of pain from others my whole life. I have witnessed it first hand. Then when they do forgive themselves you see the freedom within come out and shine for all to see or they move on to the next realm. At last freedom to be. I will share this with you, when you start to forgive yourself in small ways you start to feel lighter. The love within you glows a little brighter. Then you don’t really get upset with others who our lashing out in discomfort. You recognize the pain that they must be in. You start to accept where they are in the moment and that they are doing the very best they can. I am not saying at first you may be hurt for a minute or two but then you come to your loving center. You are no longer a victim to the negative self talk. You have truly forgiven yourself and moved on…what freedom.